Support the American Heart Association with an online donation. 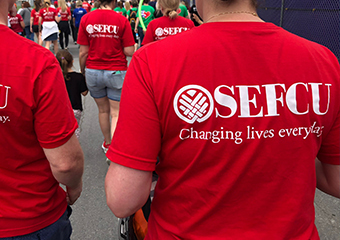 SEFCU has teamed up with the American Heart Association (AHA) to celebrate American Heart Month. This month-long celebration will raise awareness and funds to combat heart disease, which claims hundreds of thousands of lives in the United States every year. 100% of all donations will go directly to the AHA. Visit www.heart.org for more information about creating a world free of heart disease and stroke.